We all know what we don’t want in a political leader. What do we want? We rejected Howard, Rudd, Gillard, Abbott and now Turnbull but how would we describe the perfect leader of the nation? Here are some thoughts. Left or right? Probably neither. Take some values from the traditional left and some from the traditional right and blend them together. That is not to say they should be middle of the road, but rather take the best from both. The left and the right originally represented the working class, and the ruling class respectively. We need to have a leader who can see the good parts of both and follow that path. Labor fights the victimisation of workers. Keep that. Liberal promotes the concepts of responsible financial management, although does not necessarily practice what they preach. Keep that. Labor wants to support the disadvantaged. Good concept. Liberal wants to properly cost justify investment in infrastructure. Hard to argue with. The perfect leader needs to be defined as neither left or right. They need to draw key concepts from each party. Mostly those concepts revolve around common sense and the understanding that we need to create a civilisation based on equality. The perfect leader should be guiding, and be guided by, what the majority think about social issues. What is wrong with politicians supporting gay marriage? The majority of Australians do. If you cannot please everyone, please the majority and explain to the minority that we live in a democracy. Majority rules. If you feel so strongly against the social issue, take it up with the majority, not the government. Watching a political interview is like watching a tennis match. Whatever the opponent does, I will do the opposite. If you say to one side of politics this is what your opponent’s position is. What is your position? You don’t have to wait for the answer. You know what it is going to be. 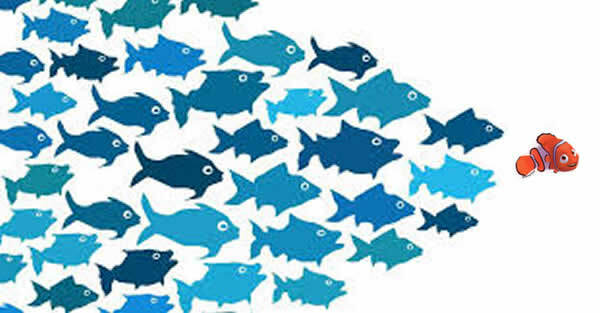 A perfect leader would hold positions that aligned with their opponent in some cases, as well as differed in others. They would attack the idea rather than the person. The point should not be that Scott Morrison has no idea what he is talking about so the government should resign. The point should be that company tax cuts are not a good policy. Wouldn’t it be nice to hear a political discussion without reference to another politician? To hear arguments about policy rather than who holds the opposing view? Current political leadership sees themselves as Santa. They bring gifts to the electorate. That is why they pork barrel so hard coming up to elections. They run a mile from anything that will bring pain to the electorate such as tax increases. They have done such a good job, they have painted themselves into a corner. Their self fulfilling prophecy has become reality. We expect politicians to deliver the goods. More of this; more of that. More, more, more. No tax increases. A perfect leader would paint a different picture. An image of leader as redistributor of money. Equal emphasis on collection and distribution. Imagine a leader saying we can fund Gonski and we are going to raise income tax across the board by 2% to support it. We can support the South Australian submarine industry but we cut back tax concessions on superannuation. There should be equal time give to arguments about where the funding should come from, as to how the money should be spent. The leader’s role is to make the final call. A perfect leader should have the gift of explaining complicated things in a way people understand. Ross Gittens – financial editor of the Sydney Morning Herald – has that ability with economic issues. He can take a complex economic concept and present it in a way were the reader gets the concept, if not the detail. Hugh Mackay has a way of doing that with social research. Which politician do you know of who has that ability? When an international, or even Australian company builds a mine, they have to pour lots of money into the local economy. They need to employ locals and buy local goods. They need to buy their steel and concrete locally. Good times! When they start producing they only need a few people to run the mine, and little required in materials. Bad times! But what about all that coal or iron being sold? Somehow, the money finds it’s way to offshore bank accounts, not Australian. The mine sells it to a company in Bermuda or Singapore at cost, so no profit. The overseas company sells it to the Chinese at a profit so the profit is made overseas. No tax in Australia. We get some royalties for selling the ground under our feet, and a bit of tax, but most of the profits do not touch Australian banks. Bad times. So when someone says this new project means 5,000 jobs to Australia, they actually mean 5,000 jobs in the short term while we build the mine and 200 afterwards. They mean we will sell the product of the mine but work our arse off to pay as little tax to Australia as possible. Where is the person who can describe the complex in terms the average person can understand? How to handle the vocal minority groups? In the age of the Internet, a few can make a lot of noise. Some can be persuaded that their point of view is wrong. Others are so entrenched they will never be converted. It seems the key is to find other groups who can debate the protesters in a way that neutralizes the argument. For example, imagine a meeting between people opposing a new development, and first home buyers. Could they reach a compromise in their views? Don’t know but it makes for a challenging discussion. What about those in favour of offshore detention meeting a group of refugees and advocates. Maybe a trip to Nauru might change their minds. The perfect leader would need to start initiating meetings of people who had different views in a non threatening environment. Sort of peoples discussion area. Some mosques have done this by throwing open their doors to non-Muslims. This needs to be led from the top, and implemented at the grass roots by each politician in their own electorate. It won’t eliminate disagreement but temper a lot of what is there now. Probably the biggest challenge is to reverse the gap between rich and the rest. Notice I said the rest rather than the poor. The middle class is disappearing and the rich are becoming richer. This is at the core of the reason for the Trump victory and Brexit. This will require some tough policies. Maybe limiting the top salary in a company to a multiple of the lowest hourly rate. Not paying bonuses to loss making companies or companies who have not improved from the prior year. What about paying everyone the same bonus as a percentage of base salary from factory floor sweeper to CEO. Things like negative gearing and superannuation concessions also need to be reigned in. I have no objection to anyone getting rich as long it is not as a result of ripping off their workers. If someone floats to the surface, the whole ship should rise. Finally, the leader should be able to refocus the priorities. Now priority one, two and three for the nation seem to be the economy, the economy and the bloody economy. Focus on the economy and everything will take care of itself seems to be the mantra from both sides. People make a micro decision everyday about priorities. Children’s education trumps (no pun intended) earning more money. Health is more important than money in the bank. 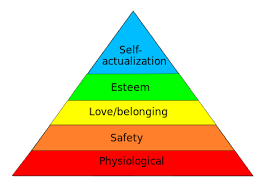 Maslow’s Hierarch of Needs rated human needs as first psychological. These are the physical requirements for survival. Food, water, air, shelter and clothing. Until a government gets those right, they should not be pushing other agendas. Are they right in Australia. Look around and the answer is not really. Secondly there is security. This includes personal, financial, health and security against unforeseen events. Into this category comes education. Only through education will people be able to maintain security for their personal, financial and health needs. Thirdly is Love and Belonging. In other words support for families and society. Looking after our disabled, our young and elderly. Making cities livable and providing equality across society. Fourth is Esteem. Giving people a sense of purpose. Pride in who they are and what they can achieve. The Romans thought this meant conquest and games in the Colosseum. Sometimes it is hard to notice if we have moved on much in 2000 years. Fifth is Self-actualization. In other words, giving each person the opportunity to fulfill their potential. Education and opportunity are what governments can provide to achieve this. So this mythical leader should put the focus on food and shelter, and once that is largly achieved move onto security. It is not to say only activity should occur in the first level until it is fully achieved. It is to say that the focus and drive should be to make sure people have enough to eat, somewhere to live, and clothes to put on their back. I believe people would respond to a leader who talked about this rather than talking about maintaining a triple A credit rating. So there we have it. The model of the leader we are seeking. If we were to run a job ad, would any current politician make the short list? I doubt it. Maybe a Tony Windsor or Nick Xenophon if the outside competition was not too strong. From outside the parliament, maybe Gillian Triggs would bubble to the surface. Justin Gleeson has stood up for his principles and could gain popular support. The big impediment is that we have evolved a democratic form of government that cannot give us the people we need to run the country. The system is rigged to give us more of the same. The people know it and the politicians know it. That is why we are seeing upheavals around the world in elections. It is a revolt against the system. Unfortunately the leader of the revolution sometimes is worse than the person who is overthrown. But sometimes the revolution throws up a Gandhi or a Mandala. Let’s hope we get lucky. After all we are the lucky country.